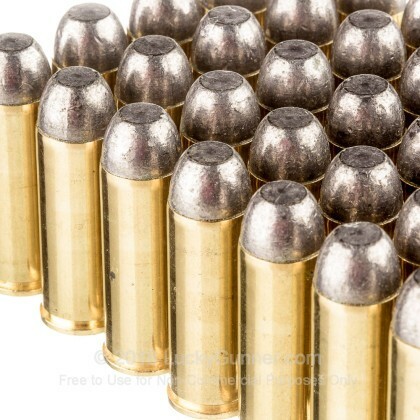 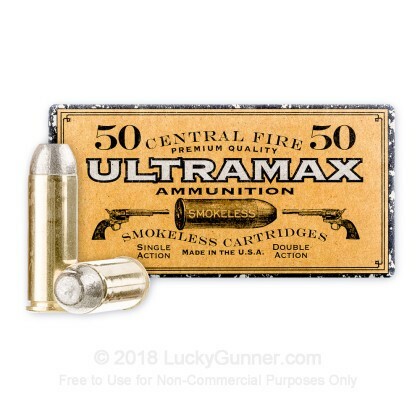 If you are looking for an inexpensive 45 Long Colt round for range time, backyard shooting, and even cowboy action shooting, then this is your round! 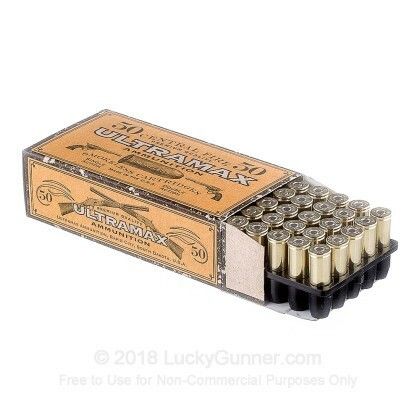 This Ultramax ammunition is new production and is loaded to closely resemble classic loads, but with modern quality. 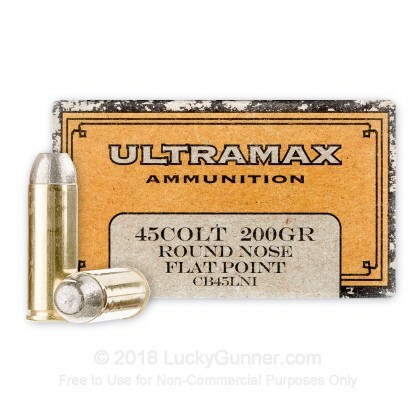 Each round is loaded with a Round Nose Flat Point Bullet, and is ideal for both single action double action revolvers. 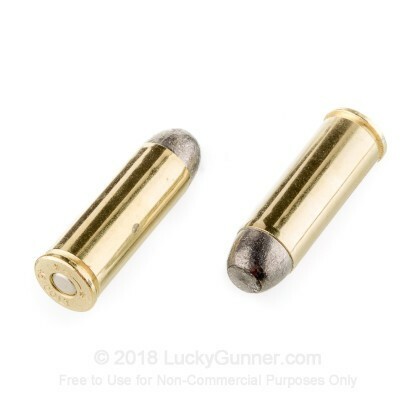 You can expect a muzzle velocity of about 700 feet per second from this 200 grain bullet, which will produce a stiff but manageable recoil. 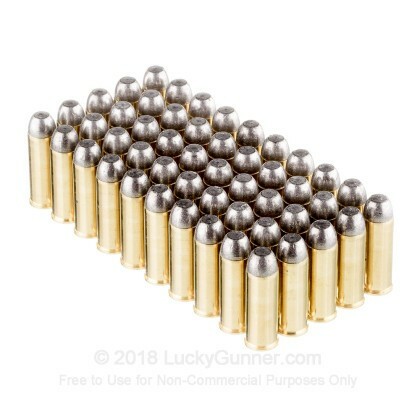 Each round is loaded using a brass casing and Boxer primers.